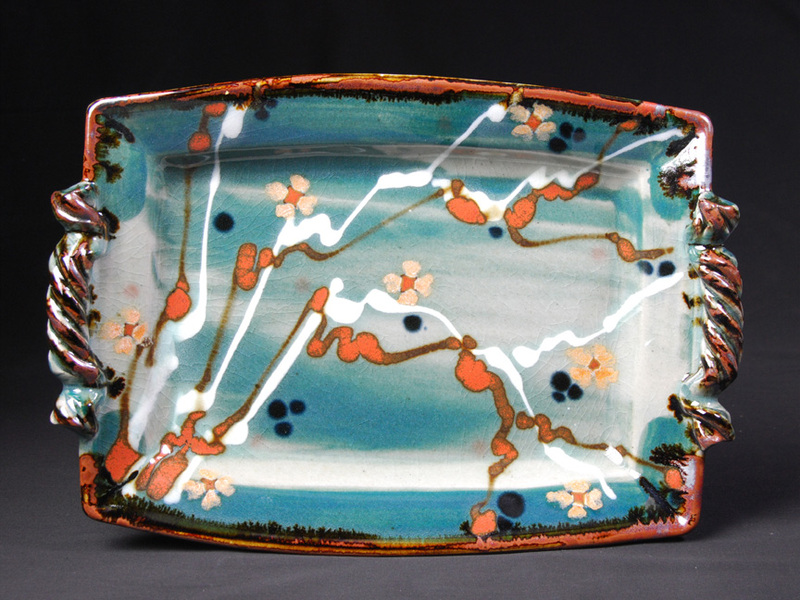 Do you appreciate ceramic art? Or perhaps you collect pottery from time to time? If the answer is Yes, then be sure to go with Art Connections to meet Terance Painter. It took a few years once Terance’s work appeared on Sherry Masters’ radar for her to actually go meet him and see his studio, Different Drummer Pottery. 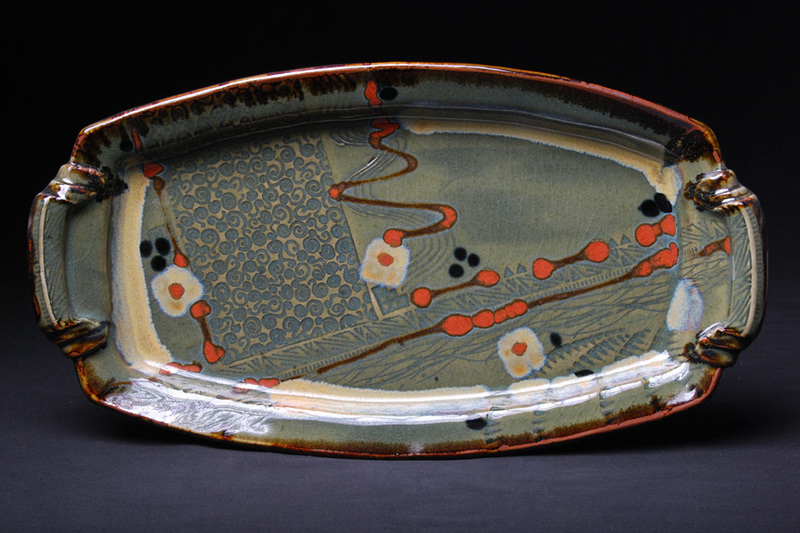 Terance stays busy designing, throwing, building, glazing and firing both functional and sculptural pottery. He does not have a gallery presence in Asheville, and it’s definitely worth venturing out to go see his studio location. When we arrive, you’ll immediately see the thoughtful attention to his craft in his pottery forms. Subtle design details draw your eye to the rim of a serving bowl, or the pleasing shape of a pitcher. 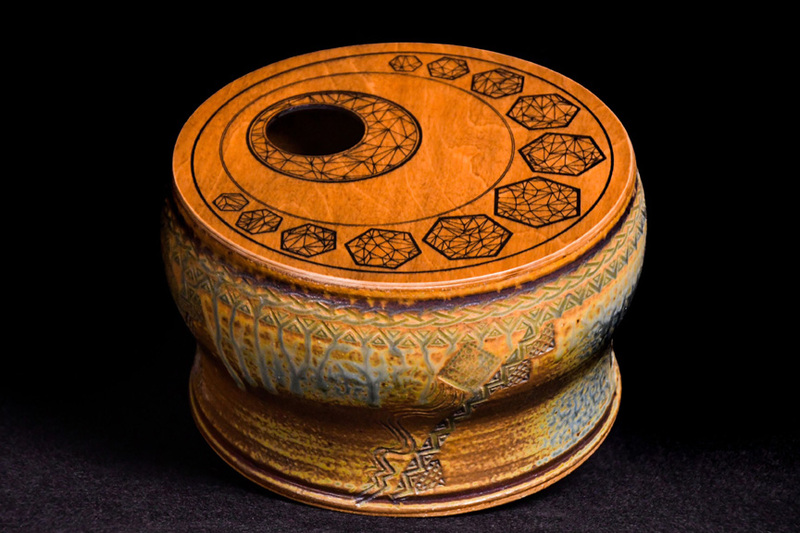 Great care is taken all with aspects of the object; the handles and feet, the lids, shaped edges, and in all the variety of pieces he makes. Glaze options include his tried and true formulas that provide a wide range of color palettes. Terance’s functional work is appealing, yet what we really must show you are his landscape forms – both vessels and wall tiles. The Landscape Series is totally unique. 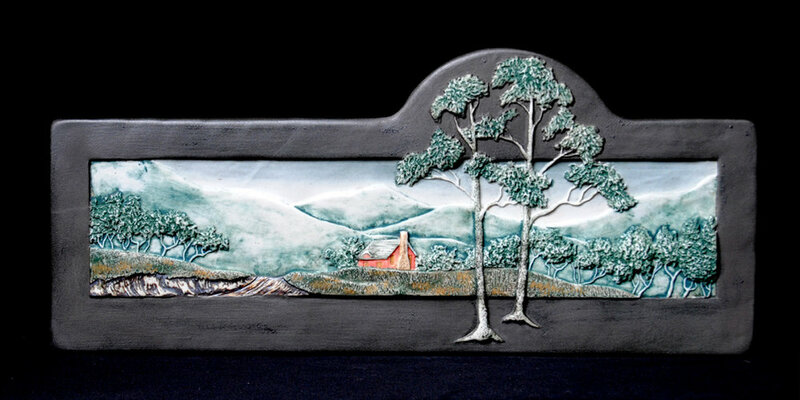 He combines his first love of drawing and painting to execute detailed landscape scenes on clay forms. Terance has pursued his interest in art since age twelve when he first started to paint. 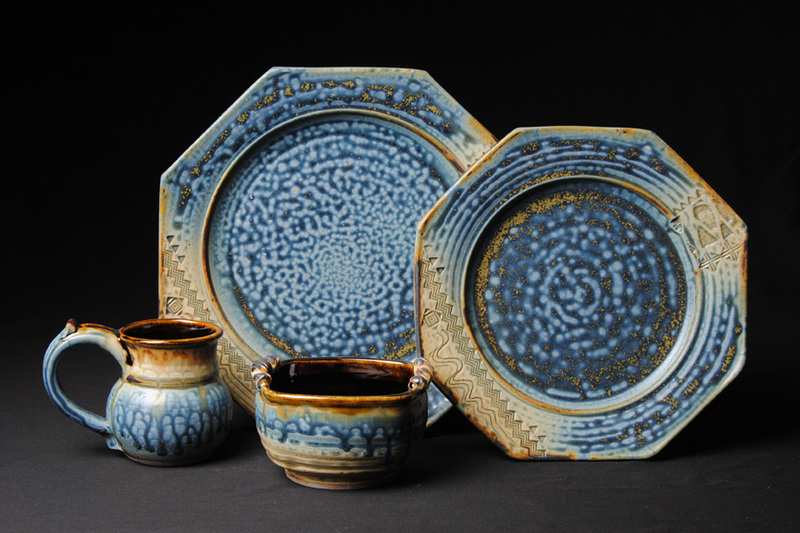 He began a fine art degree in college (BFA from WCU) with a focus on painting and printmaking, however it was after he reluctantly started a required ceramic class that he discovered clay and all it offered. 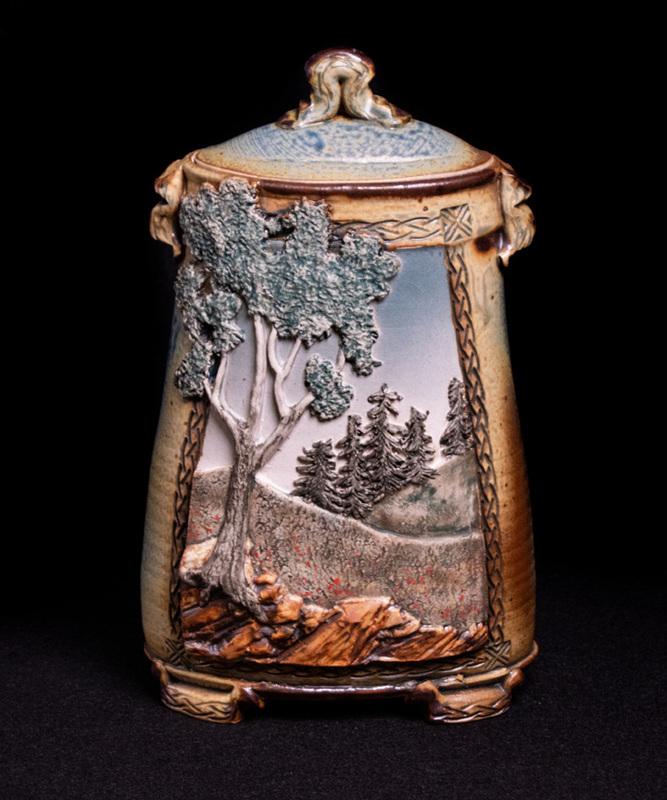 Over time, Terance has come to relish the art career he chose, and has been a full-time potter for more than 38 years. 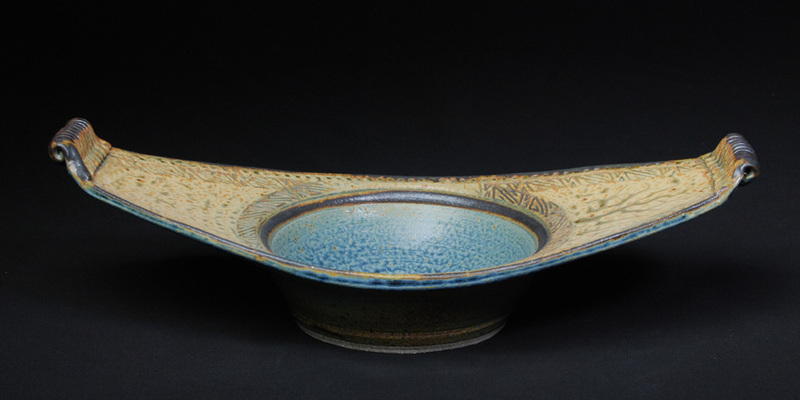 He is a member of the Piedmont Craftsmen, has won many awards, and has work in collections all over the world. Two years ago Terance’s son Caden decided to leave a ten year career in IT and join his Dad in the studio. Together they have developed a collaboration and began making ‘Crock Drums’. These lovely instruments have a clay base and wooden top and are sure to please the musician in your life! Let’s go visit Terance and discover what this talented artist has been making! We’ll get a warm welcome and have the opportunity to see the ceramic studio and showroom while we hear from Terance.